Dubai’s rising status as a tourism hub, world-class infrastructure and its proximity to the Indian sub-continent have made it an attractive investment hub for Indian real estate investors. Indian Nationals are one of the largest overseas investors in Dubai property, contributing the lion’s share of investments at Dh7 billion in the first half of 2016 according to the Dubai Land Department (DLD). The increase in foreign spending limits and comparable valuations have paved the path for cross-border real estate acquisitions by Non-Resident Indians (NRI) in places like the GCC, the UK and U.S. According to international property consultancy Knight Frank, the average number of residential properties owned by wealthy Indians currently stands at four, the highest in the world, compared to the global average of 3.7. While foreign investors are scouting for opportunities in India, Indian buyers are storming the global markets, and over the last 10 years, 31 per cent of Indian ultra-high-net-worth individuals (UHNWI) increased their asset allocations to residential real estate. To maximise the effect of this trend, Cityscape, the largest and the most influential real estate exhibition in the Middle East, has now launched its India chapter. The first edition of Cityscape India, organised by Informa Exhibitions in partnership with India’s leading real estate event organiser Abec, will be held from 3-5 March, 2017 at the Bombay Exhibition Centre in Mumbai. “Indian investors are flocking to Dubai because the emirate offers an investment haven, economic and political stability and the vast potential for capital appreciation,” says Tom Rhodes, Cityscape India Event Director. 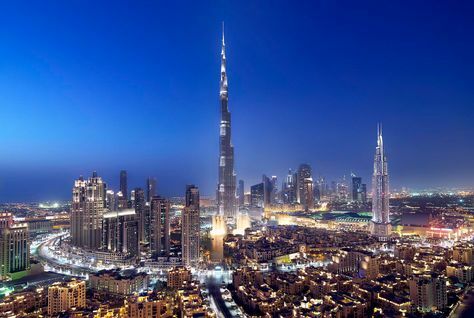 “Dubai is ideal for NRI’s, as it provides lifestyle benefits, a booming economy and an array of advantages including no capital gains tax and no property taxes. For these buyers, homes are opportunity gateways and buying decisions are made based on what opportunities will become available as a result of owning the home,” adds Rhodes. Dubai offers an array of investment and property visa options for those who purchase a residential property for a minimum of Dh1 million. In addition, the emirate remains an attractive market for Indian investors, with rental returns between 5 – 6 per cent on residential property and 10 per cent for commercial properties. “Dubai is preparing for Expo 2020, which is another major real estate investment opportunity for those looking at the market now. The emirate expects to create 300,000 new jobs, as well as cater to 20 million tourists. This is opening up opportunities for investors in the affordable to mid-housing segment in Dubai,” says Rhodes. “Over the course of Cityscape India, we aim to present to Indian investors the real estate potential of the GCC through a vast array of diverse projects from industry-leading developers. From luxury, residential towers on Dubai’s Palm Jumeirah to villas and townhouses, we will be showing the breadth of what the GCC has to offer,” said Nazia Sharma, Exhibitions Director, Abec. “In addition, Cityscape India will include experts from all real estate fields who will build a platform for knowledge-sharing, networking as well as answering any questions about the market,” he added.